Volatile Oils Handbook from C.H.I.P.S. Volatile Oil Crops: Their Biology, Biochemistry and Production covers the basic botany, physiology and biochemistry of the major species and then analyses the genetics of oil composition. 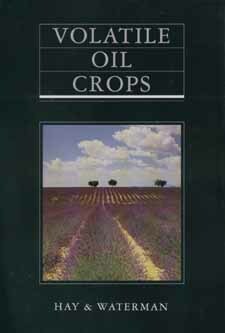 The effects of oils on a wide range of organisms are discussed and the book surveys the biotechnological methods, which can be employed in the laboratory production of oils. It concludes with a full analysis of the world trade in the products of volatile oils.